There’s so many merchants in the green space now, including a fair share of companies unfortunately engaging in greenwashing - that is, touting products with claims they are environmentally friendly when in fact, they really aren’t. It can be hard for the little guys and those businesses genuinely committed to making a difference to get noticed - unless they have bags of money for advertising. To help address this, I’m now offering free advertising to businesses that sell green products and services. You can be showcased on Green Living Tips in an article dedicated to you at absolutely no cost! Free, nix, nada, no money changes hands. This offer is open to businesses big and small in all countries. This is a great way to get long term exposure to tens of thousands of Green Living Tips readers each month. You’ll have home page coverage and additionally, you’ll get a mention in my newsletter which currently goes out to around 19,000 double opt in subscribers and a mention on GLT’s Twitter and Facebook pages. There is a section on GLT dedicated just to coupons and discounts for green goods and services. The category receives a lot of traffic and offers to date have shown some really positive results according to participating merchants. There’s a small catch (isn’t there always). You’ll also need to supply a written piece (minimum of 250 words of original content) regarding your company and your products and their environmental attributes. I’ll then turn it into a full showcase article. You’ll find it’s certainly worth the effort for the ongoing coverage you’ll receive! For further details about submitting your business and offer for this free advertising service, please contact me with some brief details about your business and the coupon or discount you’d like to provide. I’ll only be publishing a couple of green coupons and deals a week, so be sure to get in quick for rapid coverage! If you have friends or colleagues who run a business related to the environmental sector and green living, please let them know about this initiative! PLEASE NOTE: I will not be able to accept discount offers from distributors working under network marketing or MLM programs. This story is part of Earth911’s “Green Eight” series, where we showcase eight ways to green your life in various areas. We’ve all been there. 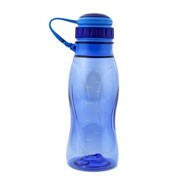 A co-worker or family member throws that plastic bottle in the trash. Your response: “Hey, that’s recyclable!” In return, you get a blank stare followed by “So…Why does it matter?” While thousands of reasons flood your brain, how do you translate those into a simple, easy statement that sums it all up? Don’t worry. We are here to sort through all the mumbo-jumbo with some stock replies that lay out easy answers to that complex question. From reduce to reuse, with a little recycle mixed in, our eight green activities are easy to translate to even the toughest of crowds. Why Apply: In general, outdoor activities use less energy while offering a more natural experience, and often times, cleaner air. For all our outdoor worries, we spend up to 90 percent of our lives indoors, where pollution levels are often higher than they are outdoors, based on volatile organic compounds released by paint and cleaning supplies. How to Do It: Take a hike! We’re not trying to throw you out but, Gorptravel.com is a great place to find info on national parks, hiking trails and forests. Why Apply: Energy use is a huge deal, but why? All energy sources, including fossil fuels, coal and natural gas, give us the ability to run our cars and power our homes. However, energy use is not without its consequences. The harvesting, production and use of these energy sources leads to byproducts and in some cases, greenhouse gases. It’s easy to know what your impact is and more important, how to effect it. There are carbon calculators, energy audits and even programs that weigh your recycling. How to Do It: Monitor energy usage on your utility bill and set a target for the following month. You can find high energy-draining devices using a Kill-a-Watt and save heating/cooling energy with a programmable thermostat. Check your next bill for a progress update and keep reducing until you hit the target. Why Apply: You may already recycle plastic bottles in your curbside program and bags at your grocery store, and this represents a good majority of the plastic we use. But as a whole, we recycle less than 7 percent of plastic, and often times this plastic is landfilled because we don’t know where else to take it. Why Apply: A healthy garden is beneficial to the environment. But part of every garden is yard waste, such as leaves, weeds and tree trimmings. This organic material can be combined with food waste in a composting bin, which converts it into nutrient-rich fertilizer to use in the garden. In laymen terms, your garbage from yesterday could be your free soil of tomorrow. How to Do It: Start a compost pile. If that step is down the line a little, you can do other things today to help get you in the swing of things. The next time you mow the lawn, let grass clippings decompose instead of collecting them. This is known as grasscycling and provides nutrients to the remaining grass while reducing the water requirements for your lawn. Why Apply: Many times we associate gas mileage with how eco-friendly our car is, and that’s understandable. But just because a car is capable of 30 mpg doesn’t mean you’ll automatically achieve it. In addition to smart driving, there are several do-it-yourself jobs that can improve your car’s performance and save you money. For example, under-inflated tires can significantly reduce your gas mileage and reduce the life of your tires. How to Do It: DIY activities for your car maintenance range from monitoring/re-filling your car fluids to testing your air conditioning system. If you’re not much of a car person, make sure you stay on track for schedule maintenance with your dealership or mechanic. Why Apply: The idea of going paperless makes sense, especially since it accounts for about a third of our total waste. Beyond the waste factor, non-printed items can easily be jazzed up to make a better impact on the viewer. Save trees and get creative, it’s a win-win. How to Do It: Take advantage of features offered in email programs and word processing documents. You can often import templates and choose non-traditional fonts that will stand out on a computer screen. Play with color and photos and let your imagination be your guide. Why Apply: How many times have you heard one person can’t make a difference? Regardless of how you feel about the statement, one person is not what it use to be. With the Internet, most people have a much larger reach then they did 10 years ago. No matter how you decide to be green, you have an opportunity to educate others in the process. In today’s age of blog posts, Facebook updates and hourly Tweets, there are plenty of outlets to green by example. How to Do It: After you’ve finished making your own household cleaners, tell others your secret recipe and steps to avoid. You can even brew extra and offer it to friends to get them started. Why to Apply: Think those things you do every day are not making a big difference? Believe it or not, you can always make your green activities even greener. Carpooling takes one car off the road, but a pair of carpoolers taking public transportation once a week takes two cars off the road. It really starts to add up. How to Do It: Let’s take a step further. You’ve already cut your shower time to reduce water use. Now, put a bucket underneath the faucet to capture water before you’ve reached the desired temperature. You can use this clean water for plants, washing your car or even flushing the toilet while using less water. It’s tweeking your everyday effort to make it even bigger. Myth: Shutting down a computer causes more harm to the hard drive and other components than the worth of the energy saved. Truth: Years ago, the accepted belief was that frequent starts and stops to your hard drive made it more prone to crashing. But with improved technology, it’s perfectly safe to start and stop your hard drive. Experts now say that the biggest threat to your hard drive is actually heat, which will cause your hard drive to age prematurely. Keep your computer as cool as possible as often as possible: shut it down when it’s not being used. Powering down your computer at night will extend the life of your hard drive and conserve electricity. To save even more power, switch your computer monitor off when you leave your desk for long periods of time, like for lunch breaks or meetings. Have a friend who swears turning off the light when you leave a room actually wastes energy? Does your uncle tell you Hummers are more eco-friendly than hybrids? Whatever the eco myth, we’ll help you get to the bottom of it. Submit your myth to SustainLane Greenbusters. '; tips = ' SAVE YOUR ENERGY! 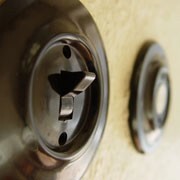 • Shut off lights, computers, and other electronic equipment when you’re not using them. Brooklyn Endeavor Experience (BEE) seeks to improve the quality of our community by partnering with local businesses, community leaders and neighbors to work together to create a clean and safe place to live and work for future generations. BEE is an advocacy and educational organization that is creating a new generation of green-minded young people. BEE is about being Green! 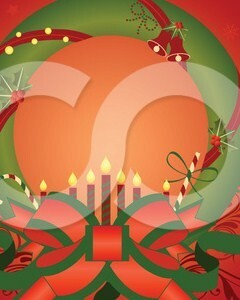 Happy Holidays and THINK GREEN! all the visitors we’ve had, and to those who’ve joined our cause. need your help in this challenging economic climate. AND HEALTHY 2010 HOLIDAY SEASON! WHAT DOES ENVIRONMENT MEAN TO BEE? Environmental Concerns BEE Is Focused On! In mental health, it is the atmosphere and the conditions surrounding you, like a good home, how you were raised and the people who you were around that shaped or influenced the way you developed mentally as you grew up. In computer science, it is the conditions under which one operates a computer, as it relates to the hardware, operating platform or operating system. In computer hardware, it is the area of a computer's memory used by the operating system and some programs to store certain variables to which they need to frequently access. Environment is the interrelationship between human beings, their natural surroundings and the environment they create. Being harmful to the environment means not treating it as nature intended. Such as landfills, factories and even so simple such as not throwing garbage in trash cans. Any action that is contrary to how nature intended is being harmful to the environment. It means the place you live at like the whole world is an enviroment and we should look after it but we do not. Ms. Melvinia Harris is currently retired from Verizon after 32 years of service. During that time she received my Bachelors Degree in Communications Arts. While being retired and living in Fort Greene since 1971 she has worked diligently with Delia Hunley-Adossa on several committees; AYP Community Benefits Agreement Committee with Forest City Ratner, Board Member of Brooklyn Endeavor Experience Inc., Environmental Committee, FATHC Youth Committee, former member of First Atlantic Terminal Housing’s Board of Directors as Treasurer, Member of the 88th Precinct Community Council and Campaign Treasurer for Delia M. Hunley-Adossa Campaign for City Council. Melvinia is also a community partner with the Kaboom Organization which designs and builds playground equipment in various communities. Melvinia intends to continue her volunteer work to support the growth of the Fort Greene/Clinton Hills/Atlantic Yards community, as well as, work with the Community Benefits Agreement Executive Committee. Sabaria works for Jennie A. Clarke Residence as a Program Coordinator. Jennie A. Clarke Residence operates in cooperation with Hope Community, Inc. They work with the Women In Need (WIN) program which provides two types of housing to homeless families: transitional shelters and permanent supported apartments with locations in Manhattan, Bronx and Brooklyn. Working with community groups and public agencies, the private sector and nonprofit organizations, WIN operates seven transitional residences with 643 family units where 2,500 people including more than 1,500 children sleep each night. She has served her community in various capacities, i.e., Sabaria has volunteered with the youth of the 88th Precinct Youth Council as a mentor, is one of the coordinators for various Brooklyn block association affairs in the summer organizing for the youth and families in need. In addition, she is one of the coordinators of the HELP (Helping, Encourage, Leadership, Potential) Program with the 88th Precinct. Saadia is a member of the 88th Precinct Community and Youth Councils, and Treasurer of the Brooklyn Endeavor Experience, Inc.
Norma is currently working on a Master Of Divinity degree at Nyack College and a Master‘s degree in Business Administration. She previously worked at the National Basketball Association with the Broadcasting and Television Division where she managed a $40 million budget for Extended Markets of NBA games for Regional Sport Networks, DirectTV and In Demand. She also Managed, departmental special events during the NBA All-Star games, NBA Play-offs and NBA Drafts. 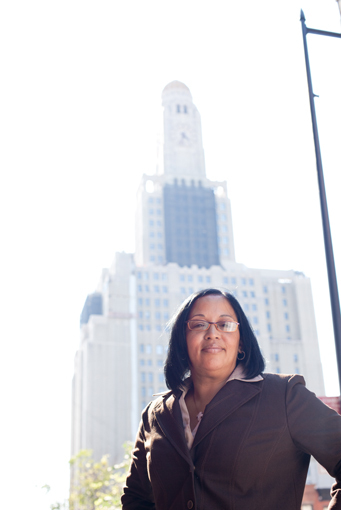 Ms. Maupins has worked on the Community Benefits Agreement Committee since its early stages and continues to work with Brooklyn Endeavor Experience, Inc. as the Secretary, and Youth Director, as well as, work with the Community Benefits Agreement Executive Committee on various issues as it relates to the Atlantic Yards project and other projects within the community. Ms. Maupins has over 25 years of business experience having worked with Well known organizations as Xerox, JP Morgan Chase (formerly Chemical Bank), Pfizer Pharmaceutical and the National Basketball Association. In addition to this she has spent many years working with youth and youth organizations throughout the city. She regularly volunteers her time with a Christian youth ministry teaching dance and mime and has also volunteered with organizations such as Youth at Risk, Habitat for Humanities and the Women’s Leadership Committee for Congresswomen Yvette Clark. Saadia Z. Adossa she has served her community for at least 15 years; currently Saadia is employed as a Community Relations Deputy Director for the Kings County District Attorney's office. The Bureau assigns Community Specialists to specific areas and a neighborhood in Brooklyn and as a Community Relations Specialist Saadia serves as a liaison to the diverse residents and communities of Brooklyn. Her ability to network and bring together community folks and organizations is admirable. Saadia is reliable and dedicated to all she encounters. 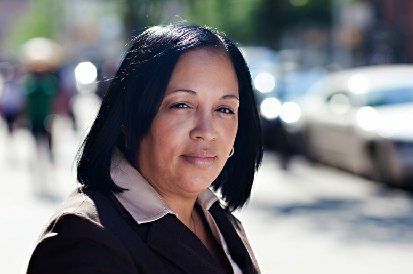 She has successfully planned, organized and conducted events for the purpose of stopping crime, sphere heading employment and training opportunities for many Brooklyn residents. One of the coordinators of the HELP (Helping, Encourage, Leadership, Potential) Program with the 88th Precinct, founder of Moving beyond a Criminal Record seminars in the KCDA Office, including many community and civic block associations functions, etc. Saadia is a member of the 77th Precinct and 88th Precinct Community and Youth Councils, Vice Chair of the Brooklyn Endeavor Experience, Inc., board member of CCM, and Vice Chair of the Coalition against Guns, Drugs and Violence. Saadia community volunteerism and activism is part of her everyday life she is the daughter of Delia Hunley-Adossa and has been actively involved in the community all of her life. Delia Hunley-Adossa better known as “Dee” was born in the Fort Greene section of Brooklyn. She attended Saint Angela Academy and later attended the Brooklyn campus of Long Island University, where she majored in Business. With the knowledge she obtained, Delia founded and became the sole proprietor of Zaire, Incorporated Security. From the very beginning Delia felt a need to get involved in community activities. Delia has been the President of the 88th Precinct Community & Youth Council and 88th Precinct Youth Executive Director for the past ten years, President of the Board of Directors at the First Atlantic Terminal Housing Corporation, Chairperson of the Community Benefits Agreement Coalition, Founder and CEO/Executive Director of the Brooklyn Endeavor Experience, Inc. (BEE, Inc.), an environmental group established December 31, 2005, member of the Board of Directors for the Boys and Girls Club of America, board member of Community Counseling & Mediation (CCM) working with at-risk children, adolescents, and families to overcome their personal obstacles, member of the National H.I.R.E. (Helping Individuals with criminal records Re-enter through Employment) Network, and a member of Community Board Two Health Environment and Social Services Committee, and former member of the Neighborhood Advisory Board. In 1992, a group of friends were eager to tackle the many challenges facing Brooklyn. Like many other caring Brooklynites they searched for an organization offering flexible, hands-on volunteer opportunities. The group took on projects such as board membership with the First Atlantic Terminal Housing Committee (FATHC), becoming Executive Board members and members of the 88th Precinct Council, youth council volunteers, members of neighborhood advisory boards and various other community based organizations. The FATHC was formed to bring the community’s voice to the decision-making table for future Brooklyn developments like never before. The Atlantic Yards Project is one of many projects that the developer, Forest City Ratner has completed in the Fort Green Clinton Hill community. Political officials and other leaders were entrusted to represent the community, but the results were minimal. The First Atlantic Terminal Housing Committee was involved with the formulation of the Atlantic Yards Community Benefits Agreement (CBA) and once acclimated with the development, decided to remain involved. FATHC eventually became Brooklyn Endeavor Experience Incorporated (BEE) in an effort to broaden the scope of its work and have a greater impact on the Brooklyn community. BEE was incorporated in 2005 and received tax-exempt status in July 2008. BEE remains a community partner for the Atlantic Yards Project and runs youth programs including Safe Places to Learn and Grow to promote environmental awareness among young people. Our mission is to improve the quality of our community by partnering with local businesses, community leaders and neighbors to work together to create a clean and safe place to live and work for future generations. Delia Hunley-Adossa better known as “Dee” was born in the Fort Greene section of Brooklyn. She attended Saint Angela Academy and later attended the Brooklyn campus of Long Island University, where she majored in Business. With the knowledge she obtained, Delia founded and became the sole proprietor of Zaire, Incorporated Security. From the very beginning Delia felt a need to get involved in community activities. Delia has been the President of the 88th Precinct Community & Youth Council and 88th Precinct Youth Executive Director for the past nine years, President of the Board of Directors at the First Atlantic Terminal Housing Corporation, former Treasurer of the Board of Directors at the North Crown Heights Family Outreach Center Inc., Chairperson of the Community Benefits Agreement Coalition, Executive Director of the Brooklyn Endeavor Experience, Inc. (BEE, Inc.), an environmental group established December 31, 2005, Executive Board member of NYSAMC, on the Board of Directors for the Boys and Girls Club of America, board member of Community Counseling & Mediation (CCM) working with at-risk children, adolescents, and families to overcome their personal obstacles, member of the National H.I.R.E. (Helping Individuals with criminal records Re-enter through Employment) Network,National Organization for Black Law Executives (NOBLE) member, NY State Licensed Chaplain L.A.C.A., board member of the Coalition Against Guns, Drugs and Violence, and a member of Community Board Two on the Health, Environment and Social Services Committee, and former member of the Neighborhood Advisory Board. It is through Delia’s community involvement that she has become known for her integrity to the Fort Greene/Clinton Hill community and beyond. She has received numerous awards for her hard her work and dedication. Delia has been instrumental in establishing numerous community based programs for the youth and senior citizens. She is directly responsible for the developing and coordinating the 88th Precinct Youth/After School Program, 8-week Summer Youth Program, Senior Trips, and Thanksgiving Luncheon. These programs have greatly improved the quality of life for the community as well as enhance police/community relations. The continuation of the Community Council programs is essential in maintaining the quality of life in the community and sustainability. The program that Delia is most recognized for is the HELP (Helping Encourage Leadership Potential) Program. 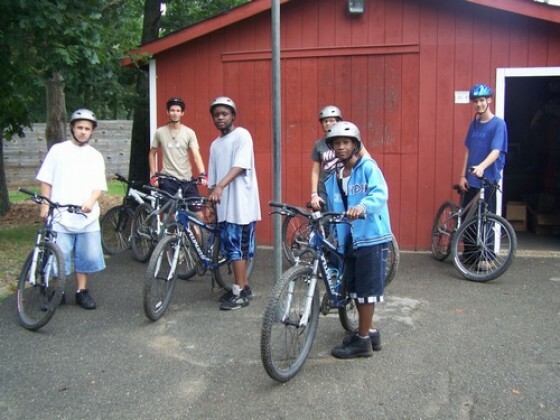 The HELP Program identifies youth that have engaged in socially deviant behavior. The goal of the program is to impart positive social values to the youth in the community. In addition, the HELP Program encourages the development of leadership potential through volunteerism, positive role models and peer motivation. These programs would not have been possible without the direct involvement and leadership of Delia. Delia enjoys people, is a computer enthusiast, very fond of sports, and despite her demanding work schedule, still finds time to spend with her FAMILY who is very supportive and loving. Delia operates under the principles of openness and fairness. She accepts as true that “Greatness is not what you achieve, it is what you inspire others to achieve”. She believes that “we as individuals compliment each other, when we work as a team” and that our strength is shown in the things we stand for; our weakness is shown in the things we fall for.” It is these beliefs that make Delia Hunley-Adossa “Dee” an asset to the people of Fort Greene/Clinton Hills and Prospect/Crown Heights Community and Brooklyn. ACORN is the nation’s largest grassroots community organization of low- and moderate-income people with over 400,000 member families organized into more than 1,200 neighborhood chapters in 110 cities across the country. Since 1970, ACORN has been building community organizations that are committed to social and economic justice, and won victories on thousands of issues of concern to our members, through direct action, negotiation, legislative advocacy and voter participation. ACORN helps those who have historically been locked out become powerful players in our democratic system. BUILD is an organization committed to supporting development as a means of creating economic opportunities to promote financial self-sufficiency and prosperity in socio-economically depressed communities. The DBNA will form and facilitate a Community Facilities and Amenities Council to establish an ongoing mechanism for community input to achieve its objectives. Faith in Action brings together people of many faiths to help their neighbors in need. Faith in Action volunteers shop, cook, drive or just check in on the millions of Americans with long-term health needs. The New York State Chapter of the National Association of Minority Contractors [NYSAMC], which is located in the Brooklyn Navy Yard, is a non-profit corporation with the mission of advancing and promoting the mutual interests of minority and women contracting firms based in the State of New York. NYSAMC is the NYS Chapter of the National Association of Minority Contractors, which is headquartered in Washington DC. PHC will form and facilitate a Public Housing Council to establish an ongoing mechanism for community input to achieve its goals of inclusion of NYCHA Residents. We've all heard the mantra: reduce, reuse, recycle. But, did you know that you could adopt such sustainable behavior when it comes to the clothes in your closet? With a little creativity and imagination, you can reduce clutter, reuse items you already have, and recycle old stuff into unique, new outfits. Besides looking good, you'll be protecting the environment for future generations. Turn old clothing into new outfits: Take some time to dig through your closet, and pull out items that have gotten lost in the clutter. Try combining these items in new ways. A mid-thigh dress could serve as a tunic with jeans, or an old scarf could be turned into a new belt. When you buy new jeans, turn an old pair into cut-offs. For every item of clothing you buy or receive as a gift, give one item away: Most of us have items of clothing that we haven't worn in months, or even years. Your closet could be full of items you could donate and never even miss. A good rule of thumb is if it has been hanging in your closet for one year and you haven't worn it, donate it to charity. Remember, fashion is cyclical: This means that old clothes from the 70s and 80s, including hand-me-downs, are back in style. Dig around your parents' and grandparents' closets and attics for old clothing and accessories that are so outdated that they're back in vogue. One of dad's old, plaid ties, for example, can add flair to any outfit. Or, grandma's old lace-up boots may look great with a long skirt. Broaches from a bygone era can add an eccentric flair to plain sweaters or jackets. Hunt for treasures in consignment shops, in thrift stores, and at yard sales: Shopping for vintage clothing at second-hand shops has several perks. First, the price is right. You may be able to get five or six items for the price of one item at a department store. Second, you aren't likely to see someone wearing the same thing. Third, everything you buy is already soft and broken-in, particularly jeans. So, go ahead and hunt for treasures. Just be sure to wash before wearing. Shop online for green deals: You can find just about anything on the Internet these days, including specialty green clothing, clothing made from recycled materials, or all-organic lines. The organic clothing market is growing quickly, which means that products are becoming more affordable and more accessible. You can find pure, durable fabrics that are made in sweatshop-free environments and certified fair labor apparel, which means that the items have been produced with socially responsible practices both in agricultural production and all stages of the post-harvest production process. Resist fads: Stores that pass quickly from trend to trend are often filled with cheap, poorly made clothing. While they may be budget friendly, they are often wasteful, especially when you consider manufacturing and shipping. Instead, seek to purchase classic clothing that is well-made. A select few pieces may last longer, and you won't have to replace clothing as frequently. Host a clothing swap: Invite some friends to clean out their closets and gather swappable items, including clothes, shoes, and accessories. You may limit the items per person to about ten or twelve, and remember, the more swappers you invite, the more sizes and styles will be available to other swappers. Generally, garments and/or accessories are checked in before the exchange begins. In return for their items, guests are given one button or ticket per item, which serves as currency for buying new items. After the swap, any leftover items may be donated to local charities. Greening your wardrobe involves more than just color. You can do your part to protect the environment by reducing, reusing, and recycling your clothing. If a bird accidentally becomes trapped inside your home, wait until dark. Then, turn off all indoor lights, open a window, and turn on an outside light���the bird will usually fly out toward the light. Birds have been known to nest and raise their young in chimneys. If a bird sits on top of a chimney for warmth, it can inhale toxic fumes or fall down the chimney. To avoid this, cap your chimney. This will prevent birds, squirrels, and other animals from entering the chimney. It will also keep out rain and leaves. Hold on to those helium balloons! They may rise gracefully, but they eventually come down as litter. Sea creatures like turtles, dolphins, and whales often mistake them for jellyfish. If swallowed, they can cause an intestinal blockage and result in death. Twine, rope, and wire can all get tangled around an unsuspecting animal. When disposing of twine or rope, tie it into a big knot. Twist wire into a ball or knot and throw it in a trash can. Dispose of plastic properly. For example, the plastic that holds a six-pack of cans together can look like food to an animal if it ends up in water. Animals can get hurt or killed when these get wrapped around their mouths or necks. Always cut plastic six-pack holders into little pieces and dispose of them in a trash can. Whether floppy-eared or cotton-tailed, wild rabbits are adorable and entertaining���unless they are destroying your newly planted flower beds and vegetable gardens! To keep rabbits away from your crops, cut corn cobs in half and soak them in vinegar for 24 hours. Place them in your garden and replace every two weeks or so. The smell of vinegar is a natural rabbit repellent. If squirrels are digging up your yard in search of food, deter them and other animals by planting non-edible flowers, such as daffodils. Or, after planting, lay a mesh wire over the soil. Be sure the openings in the mesh are big enough for the plants to grow, but not big enough for animals to invade. Feeding wildlife, including birds, creates an artificial food source that will also attract other animals. Be cautious before leaving any food outside for wild neighbors. Be sure there are no food sources available by keeping garbage containers sealed and only putting your trash out on pick-up day. This will help keep squirrels, raccoons, and other small animals away. Yellow jackets are less likely to sting if they are not disturbed. If one is nearby, simply cover your face with your hands and slowly walk away. They are more likely to sting if they feel threatened by swatting or any quick movement of the arms or legs. Stay calm and move slowly. Our everyday actions have a rippling affect on the environment and the other creatures with whom we share the planet Earth. Why not create an inviting space in your yard or garden for butterflies, hummingbirds, and other creatures? The more time you spend simply observing wildlife, the more you will want to live and let live. My mission is to help educate and protect Americans from the potentially significant costs of long-term care. Many families do not realize how important long-term care insurance can be until they are either uninsurable or actually need long-term care. I don't want that to happen to you! I specialize in long-term care insurance plans that are affordable and comprehensive for individuals, associations, or businesses. I can help assist you in designing the proper plan for you and your family. © 2010 Genworth Financial, Inc. All rights reserved. Genworth, Genworth Financial and the Genworth logoare service marks of Genworth Financial, Inc.